It is an understanding that the future that we see on STAR TREK will not happen all by itself, and that if we want to achieve it, we’ll have to work together in friendship to accomplish it. It is a STAR TREK fan club, but an ambitious one. In the spirit of an enlightened future, TrekFan is absolutely free. It is a labor of love. You’ll be eligible to take part in the TrekFan challenges — Have you ever flown an airplane? How about getting your amateur radio license? Are you a voracious reader that loves STAR TREK books? We’re here to help. You’ll also get crew status on the TrekFan Discord, where you can share pictures and text on our chat network. 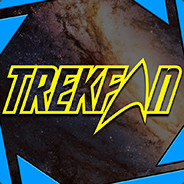 Additionally, you’ll get news with updates on new TrekFan events, like our Trek watch-alongs. How do I join? Click right here.